If you’re a parent, you’ll know how stuffed toys seem to both miraculously multiply and migrate to every corner of the house. In fact, they’ll even sometimes make a break for freedom and somehow manage to get as far as the yard! They also have a habit of taking up an enormous amount of space. But try convincing a child to donate some of those toys and they’ll look at you as though you have three heads. Suddenly, every toy is their ‘favorite’! 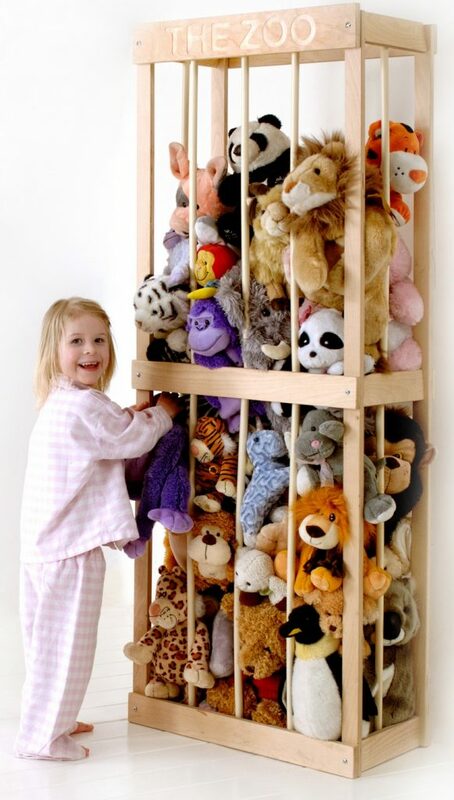 In most houses, floor space is at a premium so a storage system that will allow toys to be kept vertically, makes lots of sense. Better still, it’s a great way to teach youngsters how to keep things organised so that they always know where to find what they want.